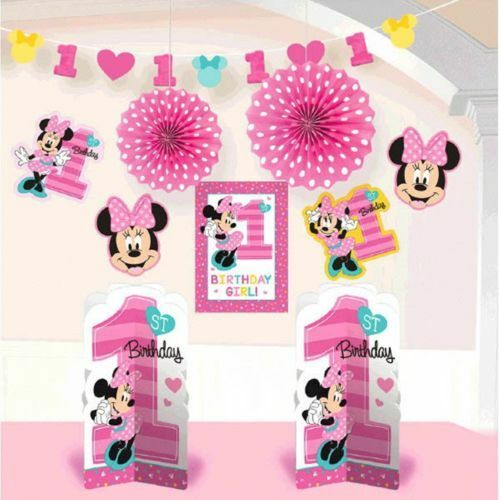 Minnie Fun to Be One 10 Pc Room Decorating Kit Includes one 10 ft. garland, two 10 inch centerpieces, two 12 inch paper fans, one 14 inch cutout and four 10 inch cutouts. Paper. 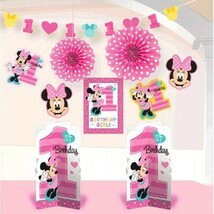 Perfect for your Minnie theme party!